Why would I need self storage in Foster City, CA? There are a variety of reasons why you might need self-storage in Foster City, CA. How much is a storage unit in Foster City, CA? The cheapest storage unit in Foster City, CA is $85.00 per month. What size storage units do you have available in Foster City, CA? In Foster City, CA we have sizes that range from 5'x4' to 10'x15' to suit your storage needs. How much is it for a 5'x4' storage unit in Foster City, CA? The cheapest 5'x4' storage unit in Foster City, CA is $85.00 per month. Foster City is a small but steadily growing city in California's San Mateo County, often considered a part of the high-tech Silicon Valley. It's earned the prestigious label of one of the safest cities in the entire nation, and it is home to a diverse community of people from a variety of backgrounds. Several national publications have ranked it among the best places to live in the U.S., citing its safe neighborhoods, top-rated education and convenient amenities. In 1958, developer T. Jack Foster decided he wanted to build a new city on Brewer's Island. Thus, Foster City was wholly conceived as a planned community from the beginning. It was incorporated in 1971 after several financial issues with the creation of the town. Because the town was originally in debt and needed bonds, the taxes have historically been very high. However, Foster City has continued to grow and bring in both businesses and residents through the decades. Foster City is home to a large number of parks and recreational facilities. This provides a wide range of opportunities for both children and adults to take part in community programs and enjoy the mild California weather. You can enroll your children and teens in a variety of sports leagues and educational programs, or take advantage of some of the local classes yourself. 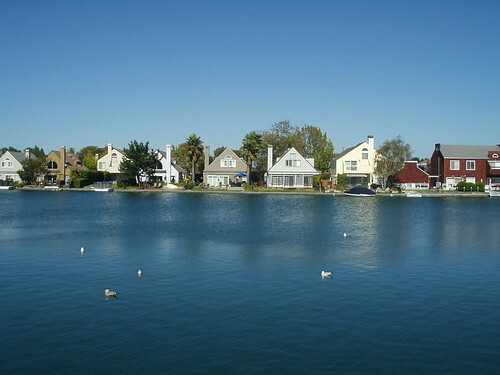 Foster City is home to over 16 miles of canals, with the scenic Leo J. Ryan Park Memorial lagoon at the center. The lagoon is the perfect setting for paddle boarding, kayaking or boating , and the bordering lawns often host picnickers and sunbathers. Regular events like the Fourth of July fireworks show, the Polynesian Festival and canoe races are also held at Leo J. Ryan Memorial Park. If you're planning to join the job market in Foster City, you'll find a variety of jobs in several different industries. The top employers in the area include Gilead Sciences, Visa, Innovant LLC and Guidewire Software. The San Mateo-Foster City School District manages the public primary schools in the city, while the San Mateo Union High School District serves all public secondary schools. In addition to traditional elementary, middle and high schools, the districts also offer a number of magnet schools and an adult school. Most of the schools in the district have won state and national awards for their high academic achievement and performance. Utilities: The Foster City utilities department manages public water and sewer services. Peninsula Green Energy is the city's main energy provider. Garbage and Recycling: Recology provides regular collection of trash, recyclables and organic waste. Transportation: The most popular form of public transportation in Foster City is the SamTrans bus network. Because it's such a desirable place to live, Foster City has an extremely high cost of living. The median home price can stretch well above the million-dollar mark, and the housing market is fairly competitive. However, there's a wide variety of apartments and rental properties in the area, which are often a more budget-friendly option. Our lowest priced units in Foster City, CA average $85.00 per month. 29 people have reserved units in Foster City, CA in the past 30 days. There is 1 location within Foster City, CA's city limits.